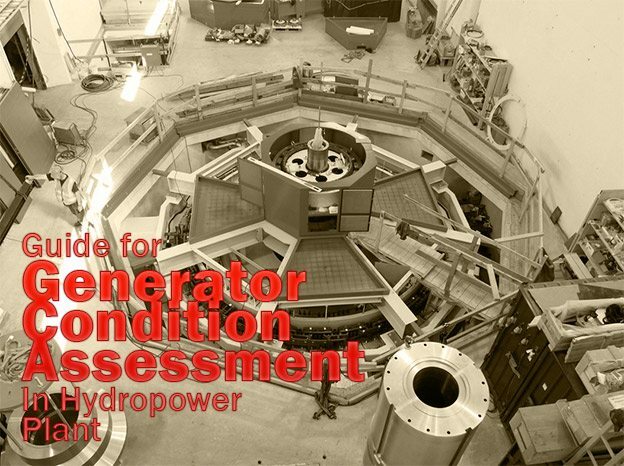 For generator condition assessment, it is recognized that the physical condition cannot be properly and sufficiently evaulated based on the visual inspections only while the results from some routine or available tests are more critical as indication of generator condition. Although these testing results can be catergorize into the Physical Condition, they are listed separately in adition to the visual condition to emphazie the importances of these meterics. These 8 condition parameters are scored based on the following: previous testing and measurements, historical O&M records, original design drawings, previous rehabilitation feasibility study reports if conducted, interviews with plant staff, and some limited inspections or previous inspections. It is noticed that there are certain level of relevance between the age and physical condition, maintenance needs, or some operating restrictions. However, as a benchmarking condition assessment without specific new testing and measurements conducted on site, these eight parameters are regarded as providing the basis for assessing the condition of generator parts and entire generator. If any type of tests or metrics are not applicable for some parts (e.g., the Stator Eletrcial Tests are only applicable to the Stator), input “NA” into the cells of irrelevant parts for this metrics. In addition, the Data Quality Indicator, as an independent metrics, is to reflect the quality of available information and the confidence on the information used for the condition assessment. In some cases, data may be missing, out-of-date, or of questionable integrity, and any of these situations could affect the results of condition assessment. The scores of data quality are determined by the on-site evaluators for each assessed part/item to indicate the data availability, integrity and accuracy and the confidence on the given condition ratings (MWH 2010). The use of Monitoring Systems (Vibration, Airgap, Temperature) may allow the operator having a good idea of the behavior of the generating set as a whole. It is obvious that for a detailed position the set shall be stopped and the several parts of the rotating system must be evaluated.